UNDER CONTRACT - SELLER ACCEPTING BACK UP OFFERS! Welcome to paradise! 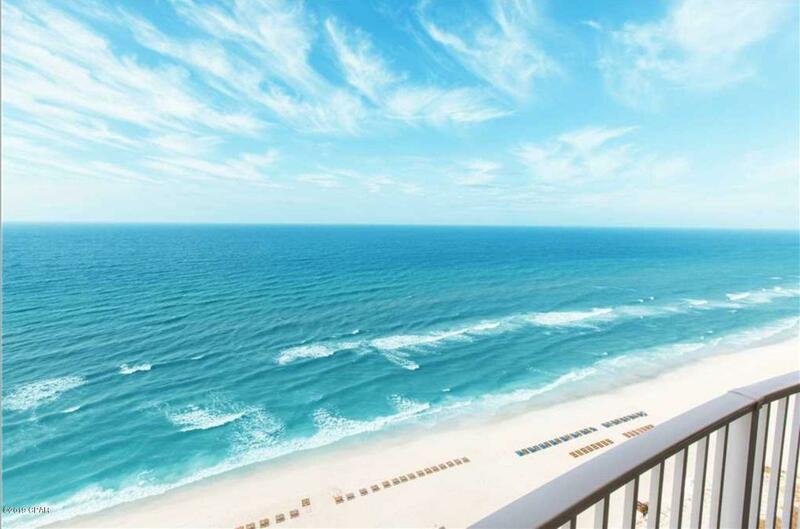 This premium gulf front two bedroom, two bath condominium offers exquisite, unobstructed views from almost every room! 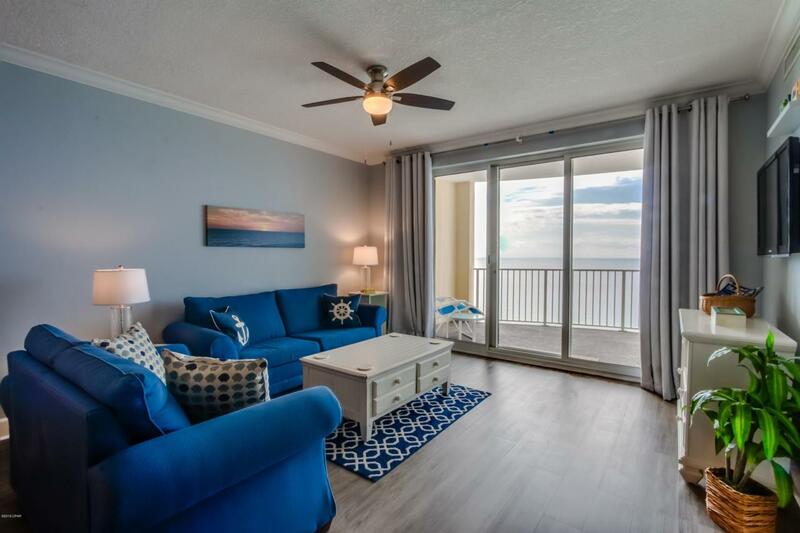 Boasting one of the largest balconies on Panama City Beach, the gulf front master bedroom also has private access to the balcony. The owners spared no expense when updating this unit! 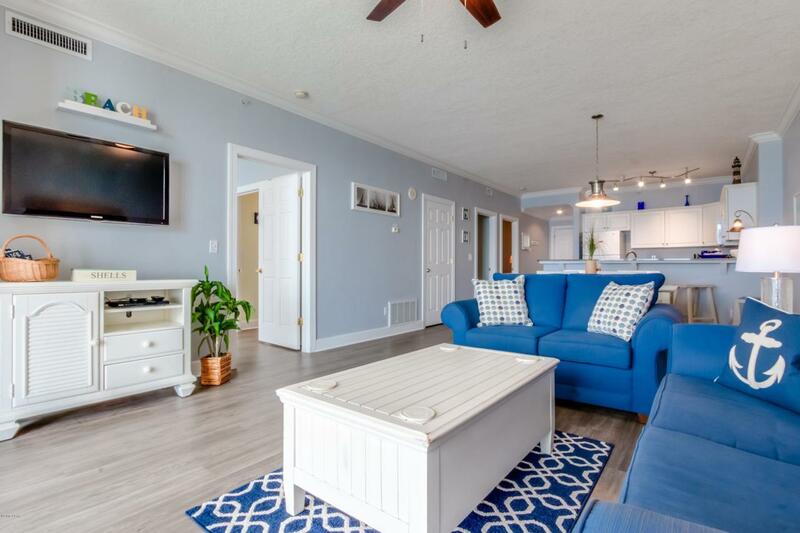 Upgrades include new flooring throughout, refrigerator, new lighting, all new mattresses and box springs, ceiling fans, new air conditioning and heating system and a new hot water heater. The unit has a DEEDED, PRIVATE parking place across from the elevator, so no looking for a place to park! Offered fully furnished and 100% rental ready! Unit earned $35,935.95 in 2018If you're searching for an investment property, this would be an excellent choice! 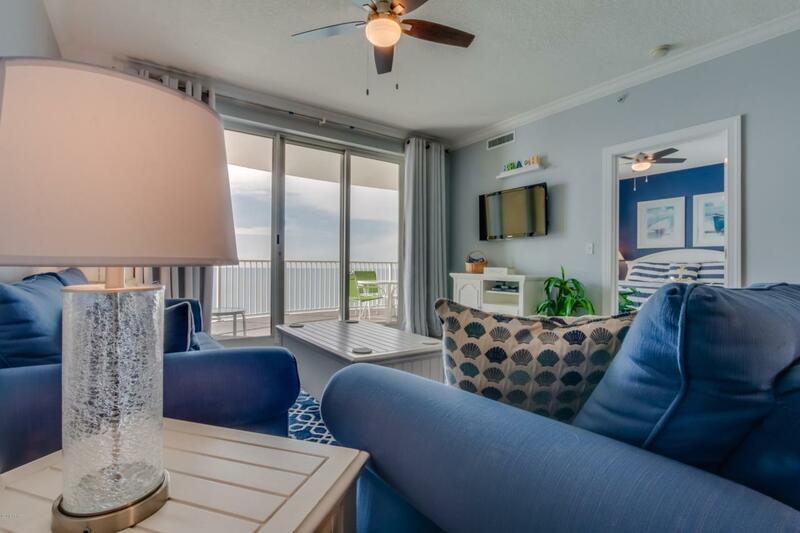 Twin Palms has exceptional amenities including an indoor spa, gulf front pool, hot tub and grilling area! Last but not least, this unit also comes with an outside storage unit! All dimensions and information is deemed to be reliable but should be verified by Buyer.